With the all-new 2013 Lincoln MKZ, get reintroduced to the Lincoln Motor Company. Check out the video below and you’ll see a new direction for the company which celebrates ninety years of history while also blazing new trails. You’ll see a very bold and aggressive new design and it will be interesting to see how this transforms the brand. As a proud Lincoln owner, I know that they’ve been making great cars for years. The LS was a great vehicle, and the new MKZ is a great sedan as well. The MKS, the new flagship vehicle, is a beast that would satisfy most Lexus buyers with its styling and performance. Now they’ve added the new MKT crossover (pictured above) to the mix. The marketing message is also starting to sharpen as well, as Lincoln targets buyers in their 30’s and 40’s – the Gen X market. Generation X, often referred to as the “slacker generation,” has shed that stereotype and now is a coveted consumer group at the top of its earning potential, Ford Motor Co. officials say. With pockets flush with cash, consumers born between 1965 and 1976 are the target of Ford’s Lincoln brand, which is trying to reinvent itself after years of giving ground in the profitable luxury segment. “We have an aging owner body, and we have the ability to move it in the right direction and get younger,” Matt VanDyke-marketing communications director, tells Ward’s at a recent media event here. “To think we could flip over and get young 20-somethings into a luxury product at this point and consider Lincoln is something that I think is too much of a stretch,” he says. How are they approaching this? One is an emphasis on technology. The design of the cars evokes a high-tech feeling that bears little resemblance to older Lincolns, yet it’s not as edgy as the recent Cadillac designs so boomer buyers should feel comfortable as well. The other part of the strategy involves music. The campaign’s TV spots feature music that the Gen X group finds nostalgic. The ad for the Lincoln MKS features a remake of David Bowie’s “Space Oddity,” while the ad for the Lincoln MKT uses a version of the 1980s classic “Under the Milky Way,” by Australian alternative rock band The Church. Check out a clip of the video below. The strategy makes sense. I remember the Cadillac ad several years ago featuring the Led Zeppelin song. Music can help to reposition a brand, so Lincoln seems to be on the right track. 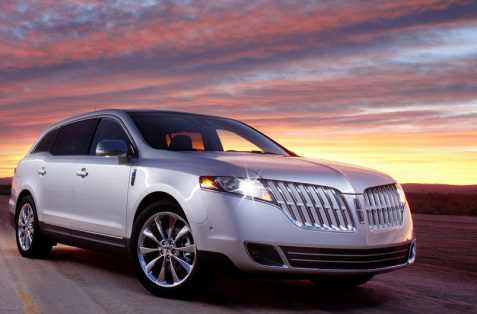 Lincoln MKT “Town Cars” on the way!